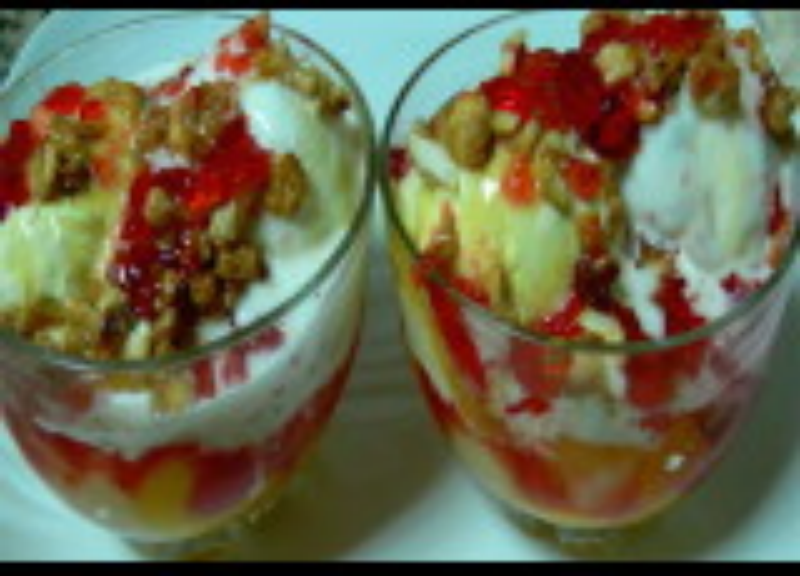 Take 6 icecream bowl ,put 2 spoons of tropical fruit salads,then add 1 scoop of vanilla icecream,1 scoop of butterscotch icecream,1 scoop of pista icecream. Add crushed jellys and honey toppings over it. Put the cherry in the centre and sprinkle sugar coated crushed nuts over it. Refrigerate(in freezer) for 15 mins and serve chilled. very unique and interesting. Thanks for sharing.